Cultivate honorable relationships, resist absentminded busyness, tell the world how to treat you, embrace enoughness, and more. What if we could augment the bucket-list of typical New Year’s resolutions, dominated by bodily habits and pragmatic daily practices, with higher-order aspirations — habits of mind and spiritual orientations borrowed from some of humanity’s most timelessly rewarding thinkers? After last year’s selection of worthy resolutions inspired by such luminaries as Seneca, Maya Angelou, Bruce Lee, and Virginia Woolf, here is another set for the new year borrowed from a new roster of perennially elevating minds. 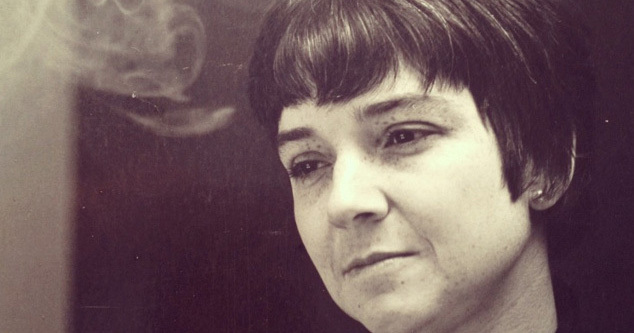 One of the most influential poets of the twentieth century and a woman of unflinching conviction, Adrienne Rich (May 16, 1929–March 27, 2012) became the first and to date only person to decline the National Medal of Arts in protest against the growing monopoly of power and the government’s proposed plan to end funding for the National Endowment for the Arts. Although her poetry collection The Dream of a Common Language is a cultural cornerstone and required reading for every thinking, feeling human being, her lesser-known collected prose, published as On Lies, Secrets, and Silence (public library), pours forth Rich’s most direct insight into the political, philosophical, and personal dimensions of human life. An honorable human relationship — that is, one in which two people have the right to use the word “love” — is a process, delicate, violent, often terrifying to both persons involved, a process of refining the truths they can tell each other. Of all ridiculous things the most ridiculous seems to me, to be busy — to be a man who is brisk about his food and his work. The unhappy one is absent… It is only the person who is present to himself that is happy. In 1902, Rainer Maria Rilke (December 4, 1875–December 29, 1926) began corresponding with a 19-year-old cadet and budding poet named Franz Xaver Kappus. Later published as Letters to a Young Poet (public library), Rilke’s missives address such enduring questions as what it really means to love, how great sadnesses bring us closer to ourselves, and what reading does for the human spirit. I beg you, to have patience with everything unresolved in your heart and to try to love the questions themselves as if they were locked rooms or books written in a very foreign language. Don’t search for the answers, which could not be given to you now, because you would not be able to live them. And the point is to live everything. Live the questions now. Perhaps then, someday far in the future, you will gradually, without even noticing it, live your way into the answer. In a terrific 1992 lecture, Susan Sontag (January 16, 1933–December 28, 2004) asserted that “a writer is someone who pays attention to the world — a writer is a professional observer.” But this observant attentiveness to the world, Sontag believed, is as vital to being a good writer as it is to being a good human being — something she addresses in one of the many rewarding pieces collected in the posthumous anthology At the Same Time: Essays and Speeches (public library), which also gave us Sontag on beauty vs. interestingness, courage and resistance, and literature and freedom. For instance: “Be serious.” By which I meant: Never be cynical. And which doesn’t preclude being funny. To be a moral human being is to pay, be obliged to pay, certain kinds of attention. When we make moral judgments, we are not just saying that this is better than that. Even more fundamentally, we are saying that this is more important than that. It is to order the overwhelming spread and simultaneity of everything, at the price of ignoring or turning our backs on most of what is happening in the world. The nature of moral judgments depends on our capacity for paying attention — a capacity that, inevitably, has its limits but whose limits can be stretched. But perhaps the beginning of wisdom, and humility, is to acknowledge, and bow one’s head, before the thought, the devastating thought, of the simultaneity of everything, and the incapacity of our moral understanding — which is also the understanding of the novelist — to take this in. Many of humanity’s greatest minds have advocated for the vitalizing role of not-doing in having a full life, but none more compellingly than British philosopher Bertrand Russell (May 18, 1872–February 2, 1970) in his 1930 masterwork The Conquest of Happiness (public library) — an effort “to suggest a cure for the ordinary day-to-day unhappiness from which most people in civilized countries suffer,” and a timelessly insightful lens on what “the good life” really means. We are less bored than our ancestors were, but we are more afraid of boredom. We have come to know, or rather to believe, that boredom is not part of the natural lot of man, but can be avoided by a sufficiently vigorous pursuit of excitement. As we rise in the social scale the pursuit of excitement becomes more and more intense. The pleasures of childhood should in the main be such as the child extracts from his environment by means of some effort and inventiveness… A child develops best when, like a young plant, he is left undisturbed in the same soil. Too much travel, too much variety of impressions, are not good for the young, and cause them as they grow up to become incapable of enduring fruitful monotony. I do not mean that monotony has any merits of its own; I mean only that certain good things are not possible except where there is a certain degree of monotony… A generation that cannot endure boredom will be a generation of little men, of men unduly divorced from the slow processes of nature, of men in whom every vital impulse slowly withers, as though they were cut flowers in a vase. Perfectionism is our most compulsive way of keeping ourselves small, a kind of psychoemotional contortionism that gives the illusion of reaching for greatness while constricting us into increasingly suffocating smallness. That’s what Ursula K. Le Guin (b. October 21, 1929) explores in a wonderful 1992 essay titled “Dogs, Cats, and Dancers: Thoughts about Beauty,” found in the altogether spectacular volume The Wave in the Mind: Talks and Essays on the Writer, the Reader, and the Imagination (public library) — the source of Le Guin’s wisdom on the cultural baggage of gender, the magic of real human conversation, and the sacredness of public libraries. There are a whole lot of ways to be perfect, and not one of them is attained through punishment. I think of when I was in high school in the 1940s: the white girls got their hair crinkled up by chemicals and heat so it would curl, and the black girls got their hair mashed flat by chemicals and heat so it wouldn’t curl. Home perms hadn’t been invented yet, and a lot of kids couldn’t afford these expensive treatments, so they were wretched because they couldn’t follow the rules, the rules of beauty. Beauty always has rules. It’s a game. I resent the beauty game when I see it controlled by people who grab fortunes from it and don’t care who they hurt. I hate it when I see it making people so self-dissatisfied that they starve and deform and poison themselves. Most of the time I just play the game myself in a very small way, buying a new lipstick, feeling happy about a pretty new silk shirt. There’s the ideal beauty of youth and health, which never really changes, and is always true. There’s the ideal beauty of movie stars and advertising models, the beauty-game ideal, which changes its rules all the time and from place to place, and is never entirely true. And there’s an ideal beauty that is harder to define or understand, because it occurs not just in the body but where the body and the spirit meet and define each other. My mother died at eighty-three, of cancer, in pain, her spleen enlarged so that her body was misshapen. Is that the person I see when I think of her? Sometimes. I wish it were not. It is a true image, yet it blurs, it clouds, a truer image. It is one memory among fifty years of memories of my mother. It is the last in time. Beneath it, behind it is a deeper, complex, ever-changing image, made from imagination, hearsay, photographs, memories. I see a little red-haired child in the mountains of Colorado, a sad-faced, delicate college girl, a kind, smiling young mother, a brilliantly intellectual woman, a peerless flirt, a serious artist, a splendid cook—I see her rocking, weeding, writing, laughing — I see the turquoise bracelets on her delicate, freckled arm — I see, for a moment, all that at once, I glimpse what no mirror can reflect, the spirit flashing out across the years, beautiful. That must be what the great artists see and paint. That must be why the tired, aged faces in Rembrandt’s portraits give us such delight: they show us beauty not skin-deep but life-deep. Our cultural mythology depicts love as something that happens to us — something we fall into, something that strikes us arrow-like, in which we are so passive as to be either lucky or unlucky. Such framing obscures the fact that loving — the practice of love — is a skill attained through the same deliberate effort as any other pursuit of human excellence. Long before the Zen sage Thich Nhat Hahn admonished that “to love without knowing how to love wounds the person we love,” the great German social psychologist, psychoanalyst, and philosopher Erich Fromm (March 23, 1900–March 18, 1980) addressed this neglected skillfulness aspect of love in his 1956 classic The Art of Loving (public library) — a case for love as a skill to be honed the way artists apprentice themselves to the work on the way to mastery, demanding of its practitioner both knowledge and effort. Love is not a sentiment which can be easily indulged in by anyone, regardless of the level of maturity reached by him… [All] attempts for love are bound to fail, unless [one] tries most actively to develop [one’s] total personality, so as to achieve a productive orientation; …satisfaction in individual love cannot be attained without the capacity to love one’s neighbor, without true humility, courage, faith and discipline. In a culture in which these qualities are rare, the attainment of the capacity to love must remain a rare achievement. There is hardly any activity, any enterprise, which is started with such tremendous hopes and expectations, and yet, which fails so regularly, as love. The first step to take is to become aware that love is an art, just as living is an art; if we want to learn how to love we must proceed in the same way we have to proceed if we want to learn any other art, say music, painting, carpentry, or the art of medicine or engineering. What are the necessary steps in learning any art? The process of learning an art can be divided conveniently into two parts: one, the mastery of the theory; the other, the mastery of the practice. If I want to learn the art of medicine, I must first know the facts about the human body, and about various diseases. When I have all this theoretical knowledge, I am by no means competent in the art of medicine. I shall become a master in this art only after a great deal of practice, until eventually the results of my theoretical knowledge and the results of my practice are blended into one — my intuition, the essence of the mastery of any art. But, aside from learning the theory and practice, there is a third factor necessary to becoming a master in any art — the mastery of the art must be a matter of ultimate concern; there must be nothing else in the world more important than the art. This holds true for music, for medicine, for carpentry — and for love. And, maybe, here lies the answer to the question of why people in our culture try so rarely to learn this art, in spite of their obvious failures: in spite of the deep-seated craving for love, almost everything else is considered to be more important than love: success, prestige, money, power — almost all our energy is used for the learning of how to achieve these aims, and almost none to learn the art of loving. Perhaps because she was formally trained as a psychologist, artist Anne Truitt (March 16, 1921–December 23, 2004) possessed exceptional powers of introspection and self-awareness coupled with an artist’s penchant for patient observation. This made her diary, eventually published as Daybook: The Journal of an Artist (public library), a true masterwork of psychological insight. Unless we are very, very careful, we doom each other by holding onto images of one another based on preconceptions that are in turn based on indifference to what is other than ourselves. This indifference can be, in its extreme, a form of murder and seems to me a rather common phenomenon. We claim autonomy for ourselves and forget that in so doing we can fall into the tyranny of defining other people as we would like them to be. By focusing on what we choose to acknowledge in them, we impose an insidious control on them. I notice that I have to pay careful attention in order to listen to others with an openness that allows them to be as they are, or as they think themselves to be. The shutters of my mind habitually flip open and click shut, and these little snaps form into patterns I arrange for myself. The opposite of this inattention is love, is the honoring of others in a way that grants them the grace of their own autonomy and allows mutual discovery. 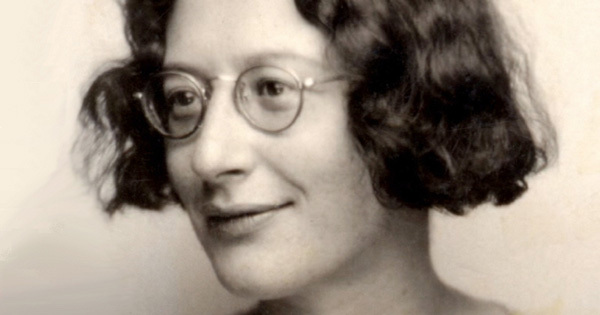 Long before scientists had empirical evidence of the astounding ways in which our minds affect our bodies, French philosopher and political activist Simone Weil (February 3, 1909–August 24, 1943) — a thinker of unparalleled intellectual elegance and a sort of modern saint whom Albert Camus described as “the only great spirit of our times” — examined the delicate relationship between our physical and spiritual suffering, between the anguish of the material body and that of the soul. The way to make use of physical pain. When suffering no matter what degree of pain, when almost the entire soul is inwardly crying “Make it stop, I can bear no more,” a part of the soul, even though it be an infinitesimally small part, should say: “I consent that this should continue throughout the whole of time, if the divine wisdom so ordains.” The soul is then split in two. For the physically sentient part of the soul is — at least sometimes — unable to consent to pain. This splitting in two of the soul is a second pain, a spiritual one, and even sharper than the physical pain that causes it. A similar use can be made of hunger, fatigue, fear, and of everything that imperatively constrains the sentient part of the soul to cry: I can bear no more! Make it stop! There should be something in us that answers: I consent that it should continue up to the moment of death, or that it should not even finish then, but continue for ever. Then it is that the soul is as if divided by a two-edged sword. To make use in this way of the sufferings that chance inflicts upon us is better than inflicting discipline upon oneself. One August evening in 1970, James Baldwin (August 2, 1924–December 1, 1987) and Margaret Mead (December 16, 1901–November 15, 1978) sat together on a stage in New York City for a remarkable public conversation. They talked for seven and a half hours over the course of the weekend, tackling such enduring concerns as power and privilege, race and gender, beauty, religion, justice, and the relationship between the intellect and the imagination. The transcript was eventually published as A Rap on Race (public library) — a testament to both how far we’ve come and how far we have yet to go, exploring such timeless and timely questions as changing one’s destiny, the crucial difference between guilt and responsibility, and reimagining democracy for a post-consumerist culture. It takes a lot to wrest identity out of nothing. Now, how in the world am I going to explain to him that there is virtually no way for me to have found out where I came from in Africa? So it is a kind of tug of war. The black American is looked down on by other dark people as being an object abjectly used. They envy him on the one hand, but on the other hand they also would like to look down on him as having struck a despicable bargain. You’ve got to tell the world how to treat you. If the world tells you how you are going to be treated, you are in trouble. 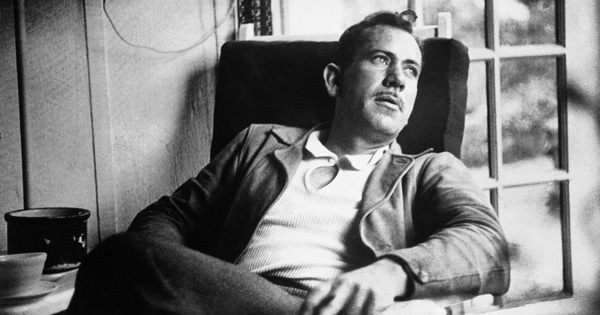 Many celebrated writers have championed the creative benefits of keeping a diary, but no one has put the diary to more impressive practical use in the creative process than John Steinbeck (February 27, 1902–December 20, 1968). In the spring of 1938, he embarked on the most intense writing experience of his life. The public fruit of this labor would become the 1939 masterwork The Grapes of Wrath, which earned Steinbeck the Pulitzer Prize in 1940 and was a cornerstone for his Nobel Prize two decades later. 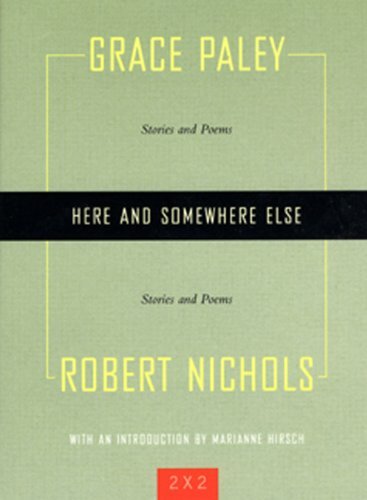 But its private rewards are at least as important and morally instructive: Alongside the novel, Steinbeck also began keeping a diary, eventually published as Working Days: The Journals of The Grapes of Wrath (public library) — a living record of his creative journey, in which this extraordinary writer tussles with excruciating self-doubt (exactly the kind Virginia Woolf so memorably described) but plows forward anyway, with equal parts gusto and grist, determined to do his best with the gift he has despite his limitations. In writing, habit seems to be a much stronger force than either willpower or inspiration. Consequently there must be some little quality of fierceness until the habit pattern of a certain number of words is established. There is no possibility, in me at least, of saying, “I’ll do it if I feel like it.” One never feels like awaking day after day. In fact, given the smallest excuse, one will not work at all. The rest is nonsense. Perhaps there are people who can work that way, but I cannot. I must get my words down every day whether they are any good or not. Every book seems the struggle of a whole life. And then, when it is done — pouf. Never happened. Best thing is to get the words down every day. And it is time to start now. My many weaknesses are beginning to show their heads. I simply must get this thing out of my system. I’m not a writer. I’ve been fooling myself and other people. I wish I were. This success will ruin me as sure as hell. It probably won’t last, and that will be all right. I’ll try to go on with work now. Just a stint every day does it. I keep forgetting. I’ll get the book done if I just set one day’s work in front of the last day’s work. That’s the way it comes out. And that’s the only way it does. I only hope it is some good. I have very grave doubts sometimes. I don’t want this to seem hurried. It must be just as slow and measured as the rest but I am sure of one thing — it isn’t the great book I had hoped it would be. It’s just a run-of-the-mill book. And the awful thing is that it is absolutely the best I can do. Now to work on it. The book, of course, was far from run-of-the-mill. In addition to earning the two highest accolades in literature, The Grapes of Wrath remained atop the bestseller list for almost a year after it was published, sold nearly 430,000 copies in its first year alone, and remains one of the most read and celebrated novels ever written. As scientists are shedding light on how our emotions affect our susceptibility to disease, it is becoming increasingly clear that our emotional lives are equipped with a special and non-negligible kind of bodily and cognitive intelligence. The nature of that intelligence and how we can harness its power is what Martha Nussbaum (b.May 6, 1947), whom I continue to consider the most compelling and effective philosopher of our time, examines in her magnificent 2001 book Upheavals of Thought: The Intelligence of Emotions (public library). 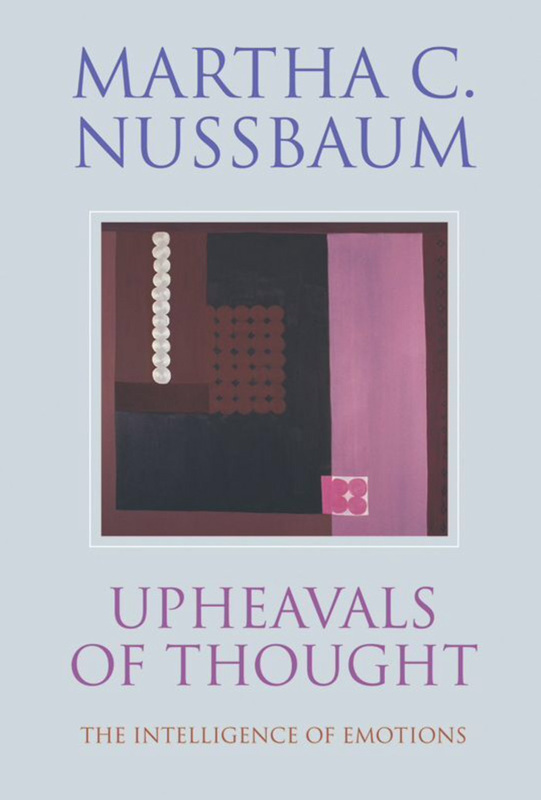 Titled after Proust’s conception of the emotions as “geologic upheavals of thought,” Nussbaum’s treatise offers a lucid counterpoint to the old idea that our emotions are merely animal energies or primal impulses wholly separate from our cognition. Instead, she argues that they are a centerpiece of moral philosophy and that any substantive theory of ethics necessitates a substantive understanding of the emotions. A lot is at stake in the decision to view emotions in this way, as intelligent responses to the perception of value. If emotions are suffused with intelligence and discernment, and if they contain in themselves an awareness of value or importance, they cannot, for example, easily be sidelined in accounts of ethical judgment, as so often they have been in the history of philosophy. Instead of viewing morality as a system of principles to be grasped by the detached intellect, and emotions as motivations that either support or subvert our choice to act according to principle, we will have to consider emotions as part and parcel of the system of ethical reasoning. We cannot plausibly omit them, once we acknowledge that emotions include in their content judgments that can be true or false, and good or bad guides to ethical choice. We will have to grapple with the messy material of grief and love, anger and fear, and the role these tumultuous experiences play in thought about the good and the just. Emotions should be understood as “geological upheavals of thought”: as judgments in which people acknowledge the great importance, for their own flourishing, of things that they do not fully control — and acknowledge thereby their neediness before the world and its events. Perhaps the greatest perplexity of aging is how to fill with gentleness the void between who we feel we are on the inside and who our culture tells us is staring back from that mirror. 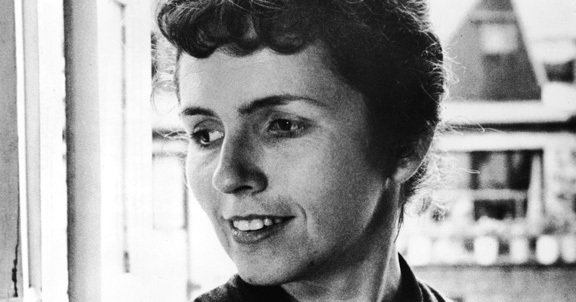 The cultivation of that gentleness is what beloved writer Grace Paley (December 11, 1922–August 22, 2007) examines in a magnificent short piece titled “My Father Addresses Me on the Facts of Old Age,” originally written for the New Yorker in 2002 and included in Here and Somewhere Else: Stories and Poems by Grace Paley and Robert Nichols (public library) — a celebration of literature, love, and the love of literature by Paley and her husband, published a few months before she died at the age of eighty-five. My father had decided to teach me how to grow old. I said O.K. My children didn’t think it was such a great idea. If I knew how, they thought, I might do so too easily. No, no, I said, it’s for later, years from now. And besides, if I get it right it might be helpful to you kids in time to come. My father wanted to begin as soon as possible. Please sit down, he said. Be patient. The main thing is this — when you get up in the morning you must take your heart in your two hands. You must do this every morning. Metaphor? No, no, you can do this. In the morning, do a few little exercises for the joints, not too much. Then put your hands like a cup over and under the heart. Under the breast. He said tactfully. It’s probably easier for a man. Then talk softly, don’t yell. Under your ribs, push a little. When you wake up, you must do this massage. I mean pat, stroke a little, don’t be ashamed. Very likely no one will be watching. Then you must talk to your heart. Say anything, but be respectful. Say — maybe say, Heart, little heart, beat softly but never forget your job, the blood. You can whisper also, Remember, remember. “Do you have the courage to bring forth the treasures that are hidden within you?” Elizabeth Gilbert asked in framing her catalyst for creative magic. This is among life’s most abiding questions and the history of human creativity — our art and our poetry and most empathically all of our philosophy — is the history of attempts to answer it. 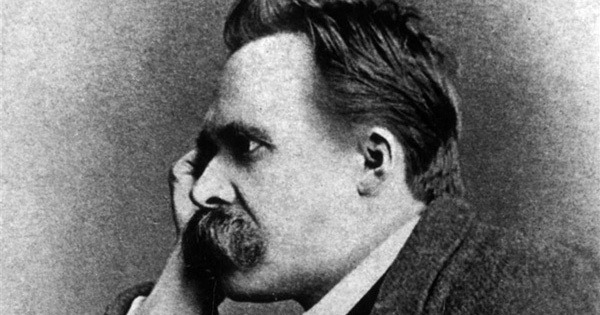 Friedrich Nietzsche (October 15, 1844–August 25, 1900), who believed that embracing difficulty is essential for a fulfilling life, considered the journey of self-discovery one of the greatest and most fertile existential difficulties. 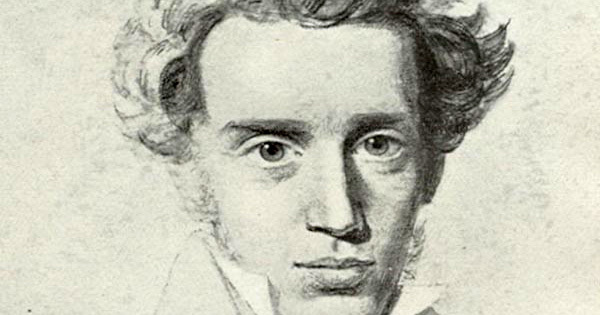 In 1873, as he was approaching his thirtieth birthday, Nietzsche addressed this perennial question of how we find ourselves and bring forth our gifts in a beautiful essay titled Schopenhauer as Educator (public library), part of his Untimely Meditations. Every young soul hears this call by day and by night and shudders with excitement at the premonition of that degree of happiness which eternities have prepared for those who will give thought to their true liberation. There is no way to help any soul attain this happiness, however, so long as it remains shackled with the chains of opinion and fear. And how hopeless and meaningless life can become without such a liberation! There is no drearier, sorrier creature in nature than the man who has evaded his own genius and who squints now towards the right, now towards the left, now backwards, now in any direction whatever. No one can build you the bridge on which you, and only you, must cross the river of life. There may be countless trails and bridges and demigods who would gladly carry you across; but only at the price of pawning and forgoing yourself. There is one path in the world that none can walk but you. Where does it lead? Don’t ask, walk! “Resign yourself to the lifelong sadness that comes from never ­being satisfied,” Zadie Smith counseled in her ten rules of writing. But how does one befriend this perennial dissatisfaction while continuing to unlock, to borrow Julia Cameron’s potent phrase, the “spiritual electricity” of creative flow? 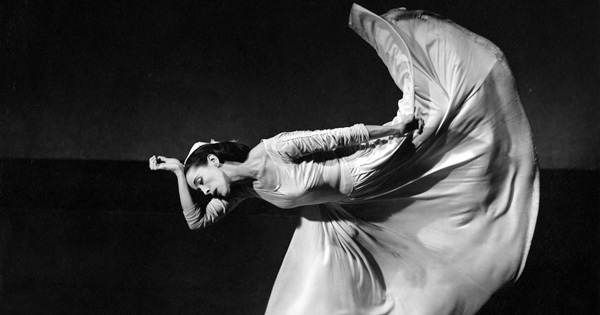 To this abiding question of the creative life, legendary choreographer Martha Graham (May 11, 1894–April 1, 1991) offers an answer at once remarkably grounding and remarkably elevating in a conversation found in the 1991 biography Martha: The Life and Work of Martha Graham (public library) by dancer and choreographer Agnes de Mille. In 2005, Kurt Vonnegut (November 11, 1922–April 11, 2007) — a man of discipline, a sage of storytelling, and one wise dad — penned a short and acutely beautiful remembrance of his friend Joseph Heller, who had died several years earlier. 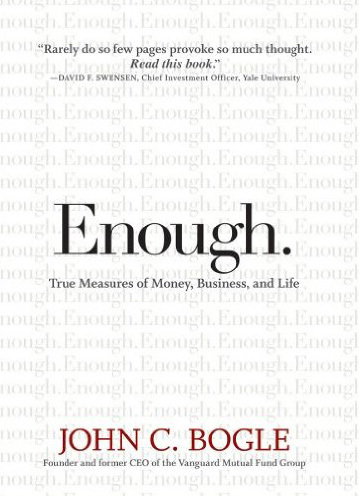 Originally published in the New Yorker, it was later reprinted in John C. Bogle’s Enough: True Measures of Money, Business, and Life (public library). Not bad! Rest in peace!